Ever since the 1789 Inauguration of George Washington, presidential memorabilia has been popular to collect and this enthusiasm continues to this day. Back in 1789 during his inauguration, George Washington wore clothing buttons, each with an eagle on it. Dealers during that time period sold clothing buttons very similar to the ones worn by Washington so that the general population could have the opportunity to collect such items. This tradition of collecting political memorabilia is not only part of history the tradition lives on even today! If you or your family is lucky enou gh to own one of the original George Washington campaign buttons, know that some are worth up to $5,000 or more. As you can see, collecting is not only fun, but it is profitable as well. 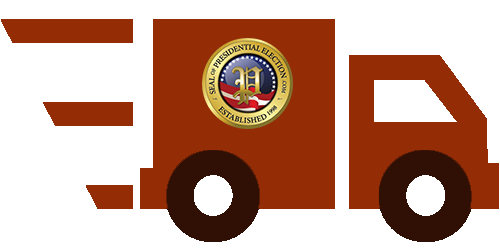 If you currently sell presidential memorabilia or would like to start selling it, we offer one of the most straight forward dealerships on the market. 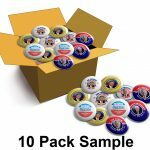 We are going to have one of the largest lines of 2020 Presidential Hopeful, Presidential Candidates, 2020 Special Interest buttons, and Anti – Trump buttons available. We are adding 15-20 new buttons each week and will have one of the largest selections available. You can also buy a 10-Pack Sample or 20-Pack Sample to see our quality. These samples contain a variety of different color and designs. 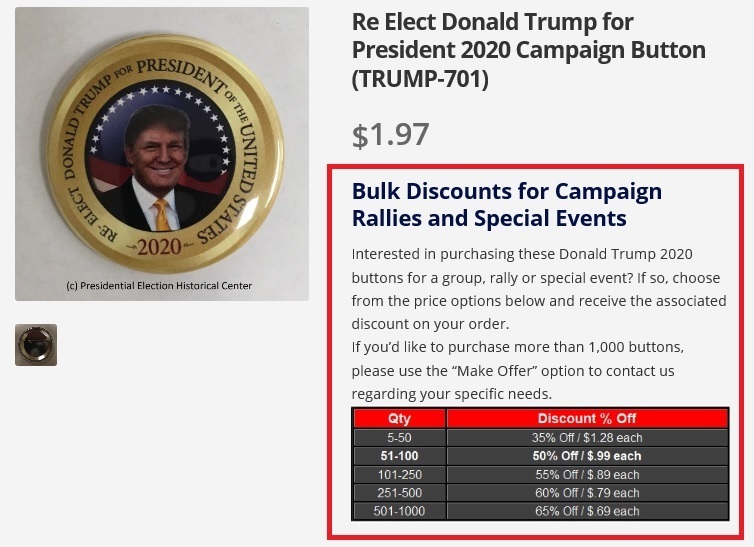 The Bulk Discounting above for Campaign Rallies and Special events is good if you want to purchase many of the same button. However, what if you wanted to purchase several different types of buttons but not 50 or 100 each? This is our most popular option and it is unlike any other dealership available. 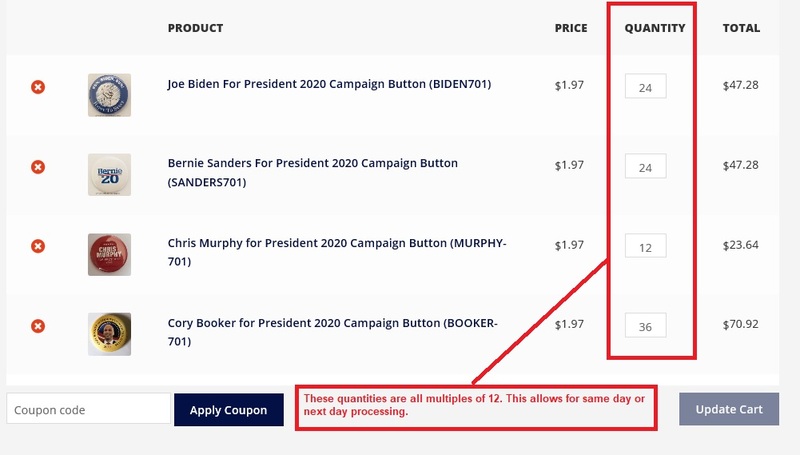 There are three levels of wholesale pricing that will override the discount structure above and you can mix and match any amount of 2020 buttons. 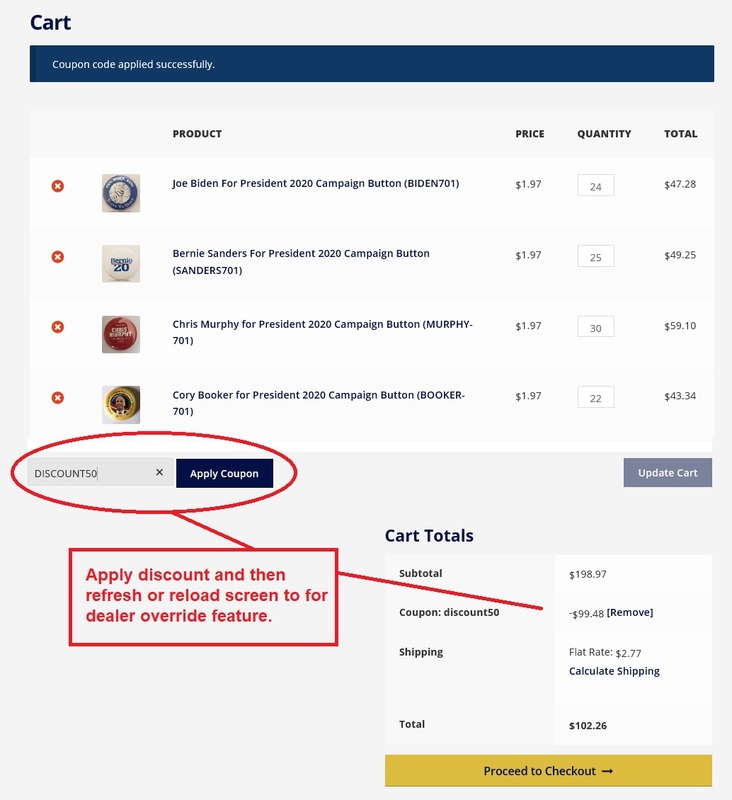 So, if you wanted 10 Trump Buttons, 15 Bernie Sanders Buttons, 12 Joe Biden Buttons, and 20 Special Interest buttons, your discounts are as follows. Once you add all the items to your shopping cart that you would like to purchase, all you have to do is to add your discount code and apply it. For instance, if you want a 50% discount on a variety of 2020 buttons, you would have to spend a minimum of $50 and use the code DEALER50. 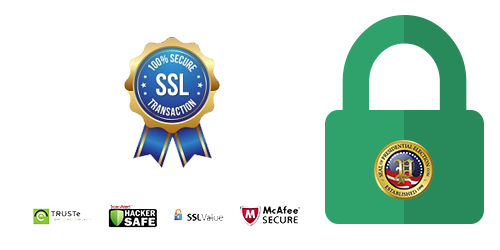 Once you apply your discount code, reload or Refresh your browser page and your discount will override the cart. Once you follow the instructions above and spend the correct amount, the shopping cart will automatically override all features and give you the correct discount rate. Once we receive your first order, we will process your order, ship it, and send out a dealer welcome package. Sometimes people like to have a more personal business relationship so we also offer working directly with the dealers. Simple contact us and let us know you would like to become a dealer and let us know about how much volume you might possibly spend each year. Based on your amounts, we can negotiate a special discount specifically for your company. Anytime you want to place an order, just send us a list of product numbers and we will ship your items and bill you from there. We don’t mind if you order 2, 4, or 10 of each item when ordering wholesale, however it may take a couple days for processing and it will delay your order. Our equipment processes products in multiples of 12. So, if you order 2 or 3 of a specific item, we have to stop our process and there will be left over inventory which slows things down. To speed up your order processing, try to order all products in multiples of 12. We will normally ship those orders the same day or next day. Please order only individual buttons and not sets. The sets are already discounted for users to buy them. There is a one time shipping cost of $8.50 for orders less than $100 and there is a $12.50 charge for all other order amounts.